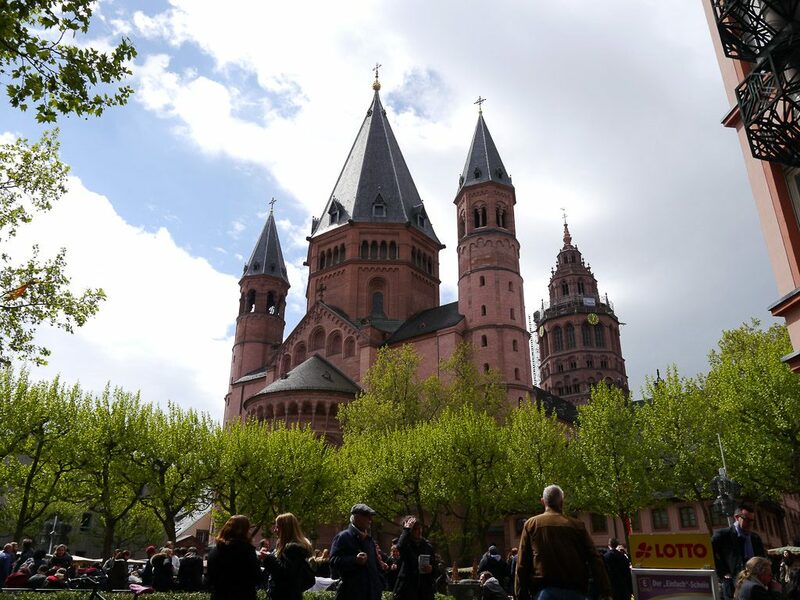 The Mainz Walking Tour continues! With our awesome historian leading the way and pointing out neat finds in the nooks and crannies of Mainz, I found several places I wanted to come back and explore. Not too far from the Mainzer Dom we viewed where Gutenberg lived and died, the first printing press, and the Gutenberg Museum. No pictures were allowed inside. So instead, you get a picture of this statue. Continue with the Mainz Walking Tour-Part Three.